Indian Navy Recruitment 2019 - Apply Online for 172 Chargeman Posts in Indian Navy, Across India. Online Applications are invited by Indian Navy from 16 Apr 2019 to 28 Apr 2019 till 11:00 PM for 172 vacancies. 69 Diploma in chemical engineering from a recognized university or institution with two years of experience in quality control or quality assurance or testing or proof in the area of chemical engineering or processing from a recognized organization. Eligible candidates may apply online at Indian Navy's website (direct link is given below) from 16 Apr 2019 to 28 Apr 2019 till 11:00 PM. 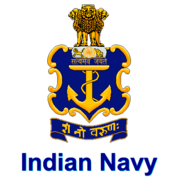 Indian Navy Recruitment 2019 - Job notification for Navy Boys Sports Selection Company 2019 in Indian Navy, Across India. Applications are invited by Indian Navy on or before 03 May 2019 08:00 AM.